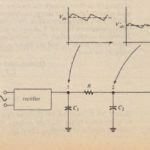 The frequency of the fundamentaL component of a half-wave-rectified waveform is the same as the frequency of its original (unrectified) ac waveform. Since the ac power source used in most de supplies has frequency 60 Hz, a half-wave-rectified waveform contains a 60-Hz fundamental, plus harmonic componentmultiples of 60 Hz, plus’ de, or average value, component. A ft. l-wave=rectified waveform has one-half the period of a half-wave-rectified waveform, so it has twice the frequency. It therefore contains a 120-Hz fundamental, plus harmonics of 120 Hz, plus a de component that is twice that of the half-wave-rectified waveform, as we have seen. A low-pass filter is connected across the output of a rectifier to suppress the ac components and to pass the dc component. C connected in parallel with Rl.’ The forward resistance of the diode is small in comparison to RL, so during positive half-cycles, the capacitor charges to the peak value of chc ac input. 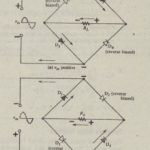 h i:- lot convenient to 31)”iyze the circuit it’ Figure 17-10 in terms of filter theory because the nonlinear operation of the diode effectively changes the circuit resistance as the diode is alternately forward and reverse biased. 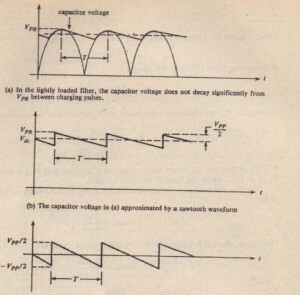 Instead, we analyze It from u c stand, _'”t of the transient voltage across the capacitor. 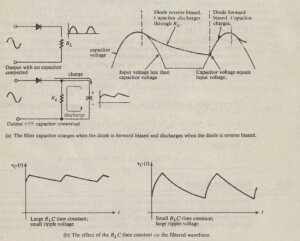 Figure 17-11 (a) ‘;1(IWS how the capacitor charges and discharges during a full cycle of the at. input. Notice that the capacitor charges and its voltage rises with the input voltage when the input is large enough to forward bias the iode. The capacitor discharges through RI. when the input falls to a level below which the diode is rf”’erf>(: biased. The smaller the R1.C time constant, the further the capacitor voltage -!. :.’ } before another positive pulse arrives and recharges the capacitor. Compares the output waveforms that result when large and small time constants are used. 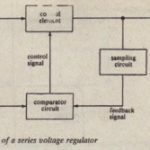 The voltage fluctuation in the filtered waveform is called the ripple voltage, which in most applications should be kept as small as po sible. Figure 17-ll(b) shows that a heavy load (small Rd will result in an undesirably -large ripple voltage. A full-wave bridge rectifier with a capacitor filter. Also shown is the” form. 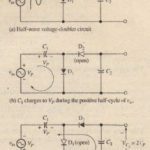 In this case, positive [.’1/1 t’ are present during every half-cycle of input, so the capacitor voltage does not decay as far a” it does in the half-wave circuit before another pulse is available to recharge it. 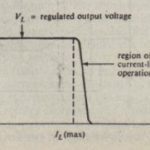 As a consequence, the peax-to-oeak ripple voltage is smauer, ior a given RLC time constant, than it is in the half-wave circuit. 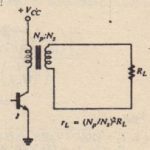 having a capacitor filter and load resistance Ri. 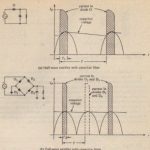 (Figures 17-11 and 17-12). Since ;\ knowledge of ripple magnitude is important in only those applications where rl; pic affects the performance of a system using the power supply, w e assume that the filter is well designed and that, as a consequence, the ripple voltage is small compared to the de component. In other words, we assume that the capacitor voltage does not decay significantly from its peak value between the occurrences of the rectified pulses that recharge the capacitor. This circumstance is called light loading because the charge supplied to RL by the capacitor is small compared to the total charge stored on the capacitor. To simplify the computations, we can assume that the ripple voltage in a lightly loaded filter is a sawtooth wave, as illustrated. The waveform in a lightly loaded capacitor tilter across the output of a full-wave rectifier. The derivation that follows is applicable li both half-wave and full-wave rectifiers, provided the assumption of light loadin, IS valid for both cases. 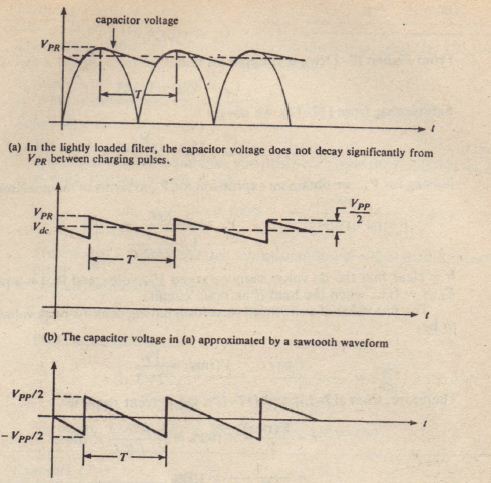 Note that the period Tshown in the figure is the fundamental period of the rectified waveform, typically 1/60 s for half-wave rectifiers and 11120 s for full-wave rectifiers. The light-loading assumption in the half-wave case is more restrictive than in the full-wave case because there is a longer time between pulses, during which the capacitor voltage can decay. A full-wave rectifier is operated from a 60-Hz line and has a filter capacitor connected across its output. 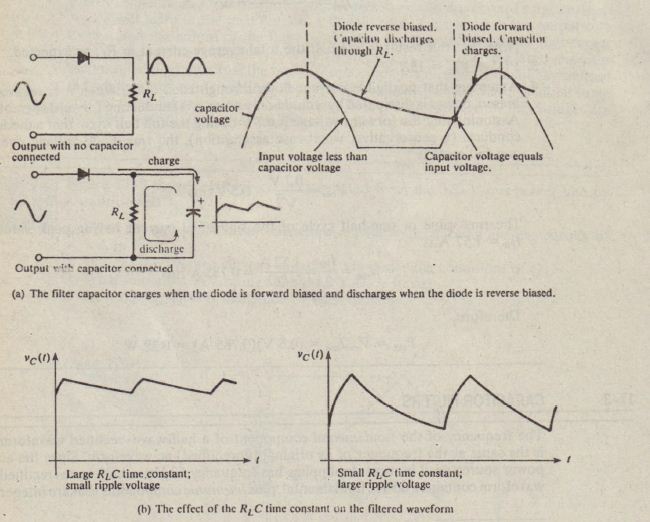 What minimum value of capacitance is required if the load is 200 n and the ripple must. be no greater than 4%? The rectifier shown in Figure 17-10 is operated from a 60-Hz, 120-line, It has a 100-J.LF filter capacitor and a I-kfl load. 1. What is the percent ripple? 2. What is the average current in RL? 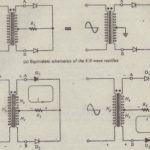 The full-wave rectifier in Figure 17-6 has RI. = 120 1. A 100-J.LFfilter capacitor is connected in parallel with RI.’ The input is a 60-Hz sine wave .having peak value 30 V. The filter does not satisfy the lightly loaded criterion •-so the equations for approximating the ripple voltage are not applicable. Use SPICE to deterrnind ; the peak-to-peak ripple voltage. Solution. 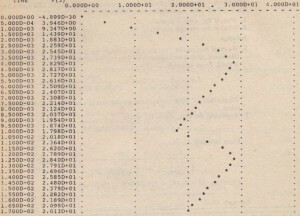 Figure 17-14(a) shows the SPICE circuit and input data file. Note that VIN is not connected to ground (node 0), since it must be applied across nodes 1 and 2. 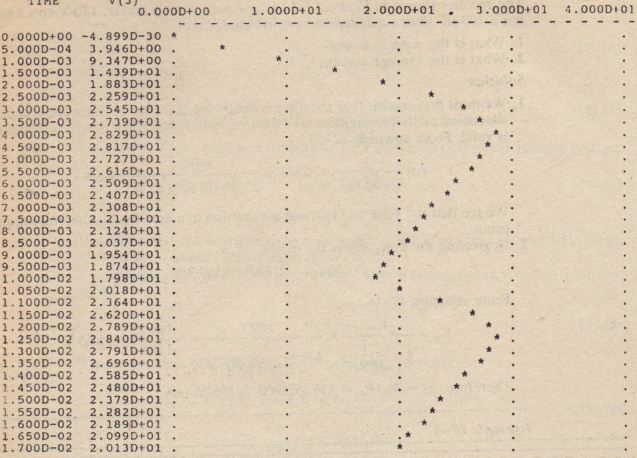 One-half the period of the 60-Hz input is 8.33 ms, so the .TRAN and .PLOT statements will produce a plot of the output extending over the first two half-cycles of input (0 to 17 ms). The results are shown in Figure 17-14(b). We see that the minimum and maximum values of the second pulse are 17.98 V and 28.40 V, respectively, so the peak-to-peak ripple voltage is 28.40 – 17.98 V = 10.42 V.